Each day, KFUO Radio gives you the nourishment found in God’s Word through bible studies, devotions, sacred music, and worship services. 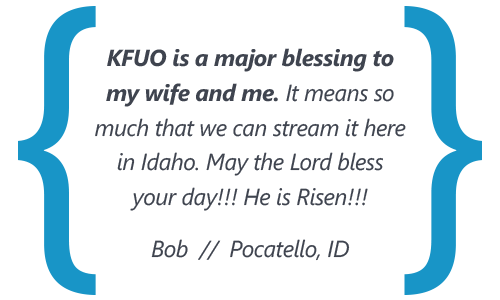 When you partner financially with KFUO Radio, you help us bring the Word of Christ to people at home and all over the world who are starving to hear the promises of Christ found in His death and resurrection. Put KFUO Radio & Sharathon in your church bulletin! Share KFUO Radio and Sharathon with your congregation by downloading and printing this black & white bulletin insert. Bulletin insert available by clicking here. Participate in Sharathon 2019 LIVE from April 25-27 by calling 314-821-0850 or 800-730-2727. 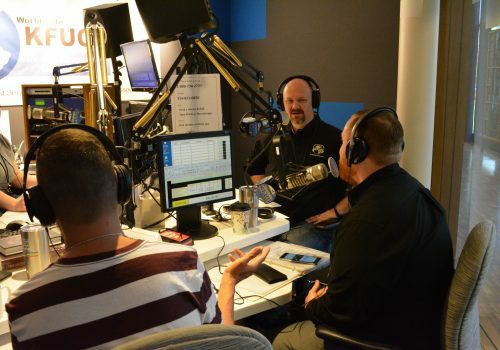 If you can’t wait until then, here are more ways to support KFUO Radio! Follow this link to our online donation page. Call Mary Schmidt at 314-996-1518. Andy Bates and Mary Schmidt thank donors for Sharathon 2018 while Sarah Gulseth operates the board. Rev. William Weedon, Rev. Sean Smith, and Peter Slayton on Sharathon 2018. 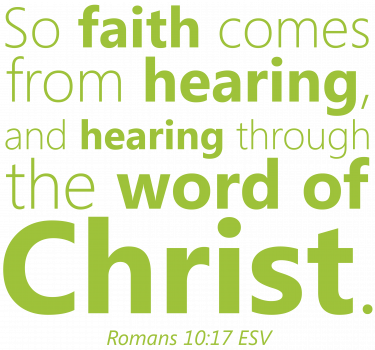 In Romans 10:17 we read, “Faith comes from hearing, and hearing through the word of Christ.” There is a great need among the people of this world to hear the word of Christ. It is a need to hear about the hope, love, mercy, and salvation found only in Christ. When you partner with us, KFUO becomes your voice to declare the Gospel of Christ to those still in darkness. Jesus said, “As the Father has sent me, even so I am sending you.” (John 20:21) When you make a gift to KFUO, we together as one voice go out into the world and proclaim the Good News of Christ through our radio ministry. KFUO and YOU, bringing Christ to the world — anytime, anywhere! Listen live to Sharathon 2018 April 19–21. Help KFUO Radio share the love of Jesus Christ! 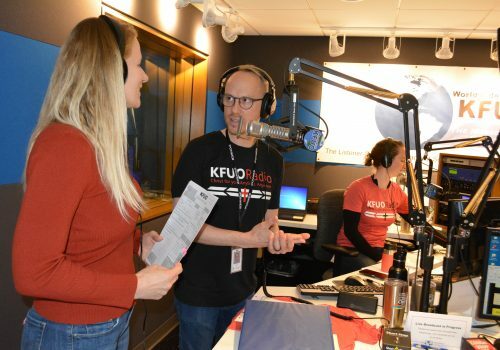 Give to KFUO Radio's Sharathon 2019. 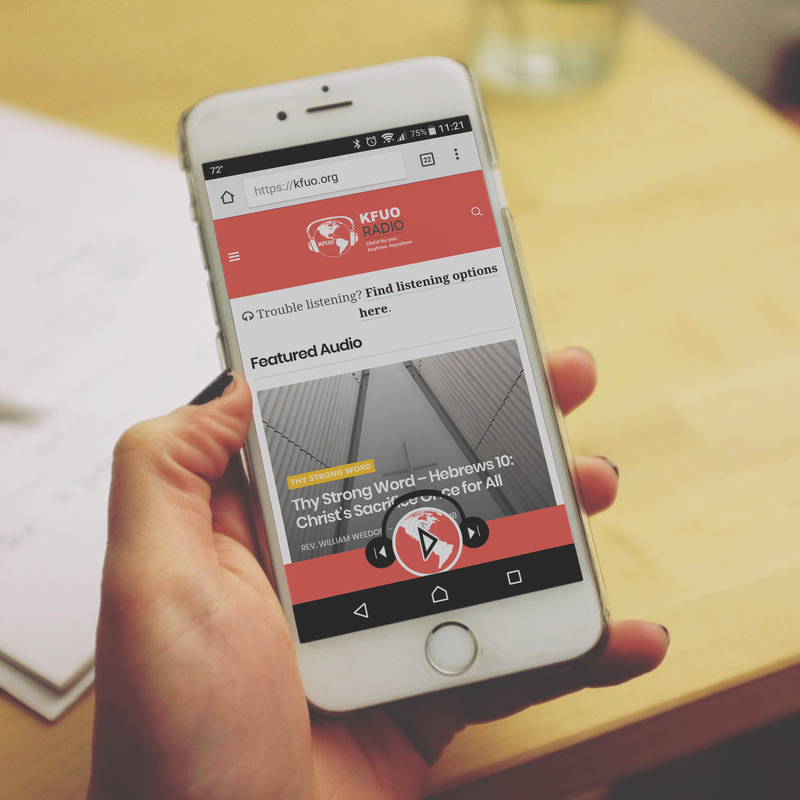 As the listener-supported radio broadcast ministry of The Lutheran Church—Missouri Synod, we need your partnership to ensure that people around the world hear the Gospel of Jesus Christ anytime, anywhere. 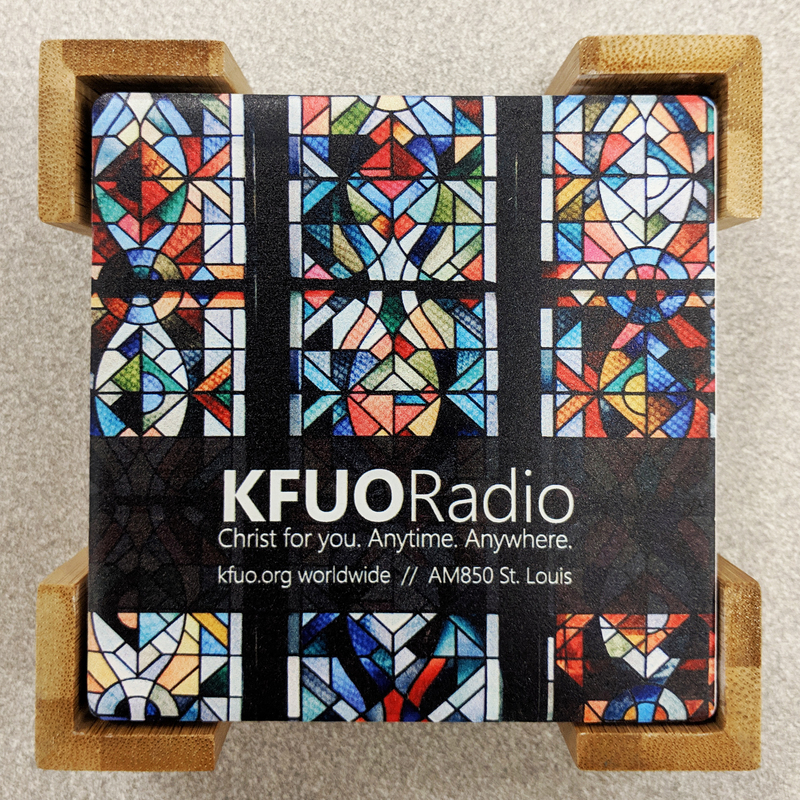 Your Sharathon 2019 gift helps KFUO Radio bring Christ to everyone — anytime, anywhere! We appreciate gifts of any size. 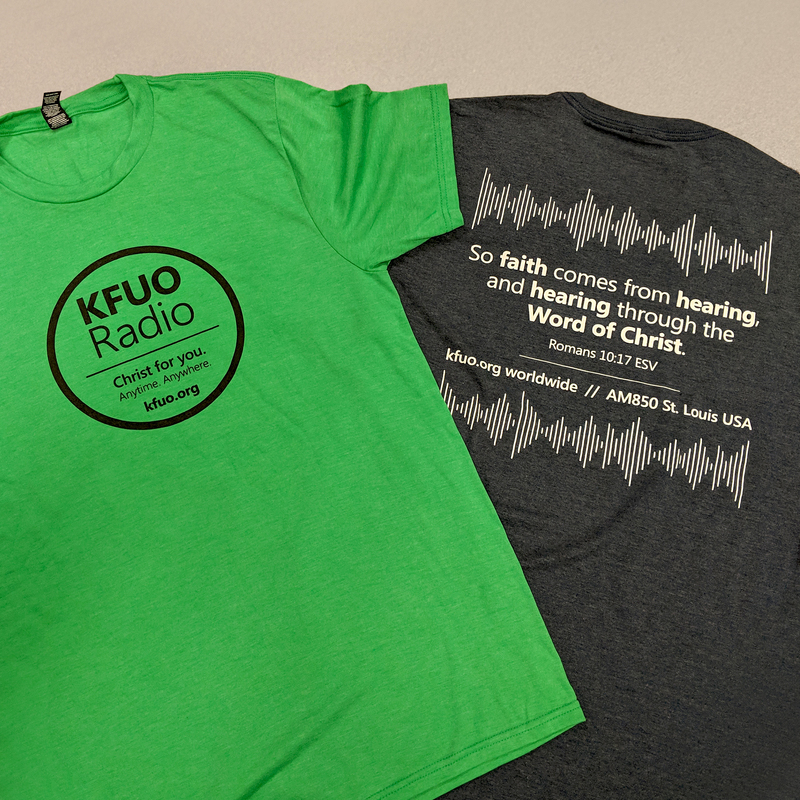 Give at these levels and receive special KFUO-branded items to show and share your love of KFUO Radio! These 4 ceramic coasters will absorb all moisture and condensation from your cup and save your tables from the dreaded Cup Stain! When not in use, display the beautiful KFUO stained glass design in its bamboo stand. 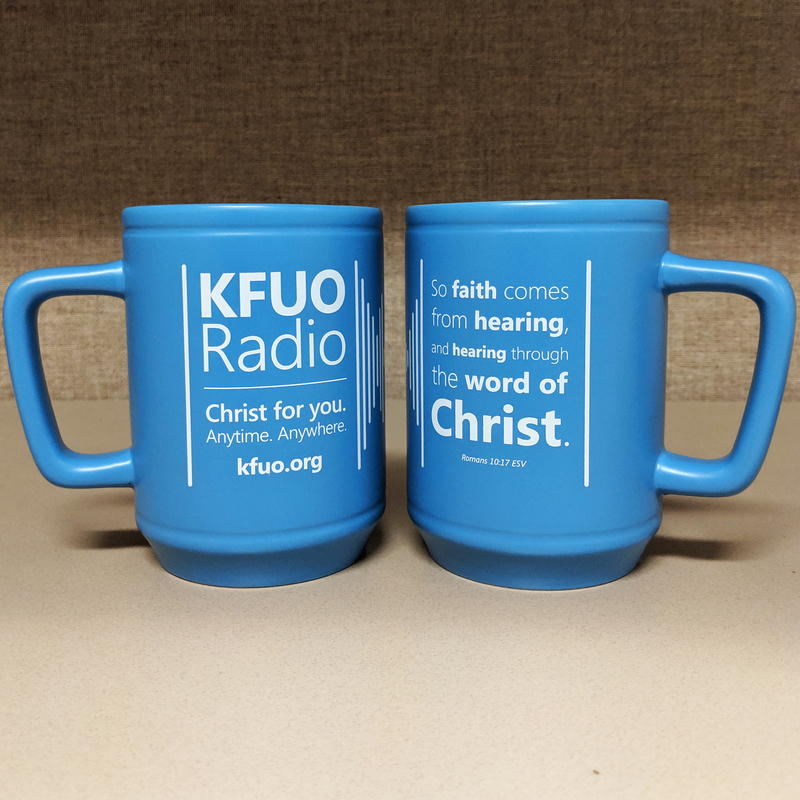 Enjoy your tasty beverage in the new KFUO 18oz Ceramic Mug featured in a two-tone blue (matte on the outside, glossy on the inside) and wrapped with the KFUO Logo and Romans 10:17. Mug is both microwave and dishwasher safe. 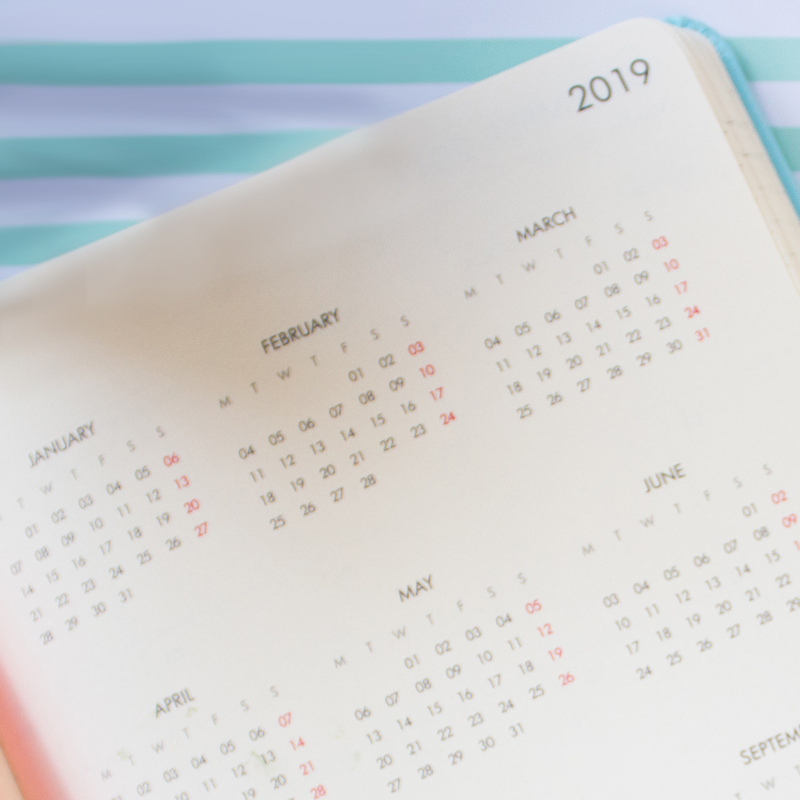 Choose an exclusive day to have us honor your loved ones on their birthday, anniversary, confirmation, graduation, or you can remember a loved one who is now with their Savior. Let everyone know about KFUO when you wear this year’s comfortable tri-blend KFUO T-Shirt with the KFUO logo on the front and Romans 10:17 on the back. Your choice of Steel Blue or Clover Green. Sizes Small through 4XL. This flexible plastic phone/tablet holder featuring novelty “thumbs-up” hands has a steel spring grip that securely holds your device in place. Featured in black with the KFUO Logo in white. Phone not included. Image coming soon!